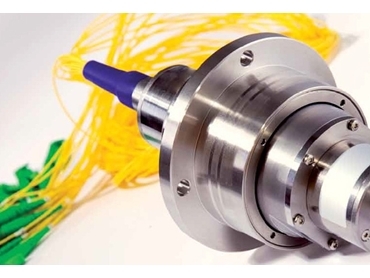 CAN Automotion presents optical rotary joints developed by Schleifring with up to 32 independent single-mode fibres. Offering significant advantages over conventional technology with individual collimators, the single-mode fibre optical rotary joints (FORJ) can support a higher number of channels thanks to the use of micro-optic technology, which allows rotary joints with 60 channels or more to have the same housing size as earlier generations. There are slight changes in the housing necessitated by design. Though the new design still has the same overall dimensions, it is not an exact replacement to the Schleifring FORJ of earlier generations.